Wholesale quentity and best quaility. 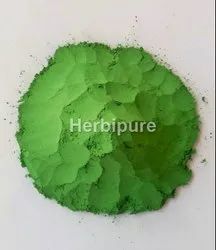 We are trusted processors and suppliers of a superior range of Henna Powder, which is processed using natural henna leaves. These are commonly used for coloring of hair, and as both medicinal and cosmetic herb. We have a team of quality auditors who check our range on the various parameters to assure its quality and efficiency. Colourless henna is also known as neutral henna radico colorless henna acts as most beneficial hair conditioner, since it provides all benefits of hair conditioning without coloring the hair. It does not change natural color of your hair but provides all its hair care properties and works as a magic without damaging and drying your hair. Company has certificate of ISO, GMP, Organic. 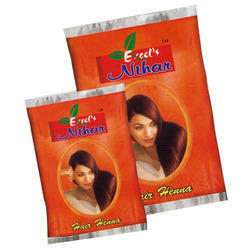 Herbal Henna which helps in preventing premature graying of hair. This is processed by using premium quality henna leaves and other natural ingredients to ensure efficacy and skin friendly finish. We bring forth a wide range of Dulhan Mehandi Powder that is in high demand among the clients. The Powder is of fine quality and is gentle on the skin. The Mehndi Powder we offer imparts a rich red color. The Mehndi Powder is available to the clients at market leading prices. The Mehndi Powder is pure and free from impurities. Our prime objective is to provide superior quality products. Our products offer benefits in hair and skin care without any side effect. Ingredients :Heena, Amla, Shikakai, Tulsi, Reetha, Ppd, Bhringraj & Other herb. In india, it is scarcely present in dry deciduous forests and cultivated as hedge plant. We specialize in the Manufacturer and Supplier of superb quality Moli Henna Powder. We have been in the manufacturer of excellent quality Henna Powder without any compromise on quality. The Quality Of Henna Is Our Motto.